Tomek (Poznań, Poland) on 24 July 2018 in People & Portrait and Portfolio. 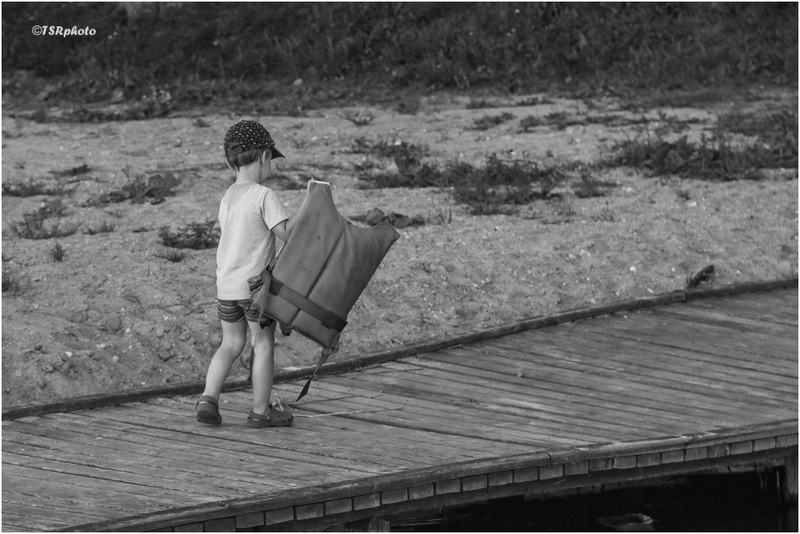 The story I read from this photo is a young lad wanting to go boating, so he gets the life jacket and heads for the boat, hoping his dad or mom will take him out. Hope springs eternal. Wonderful shot. The little guy carries on anyway. Cute capture of this little tyke!